Hi, i sucessfully compiled the ESPRUINO do nRF52832-MDK. pins = pinutils.generate_pins(0,31) # 32 General Purpose I/O Pins. How does it is constructed ? 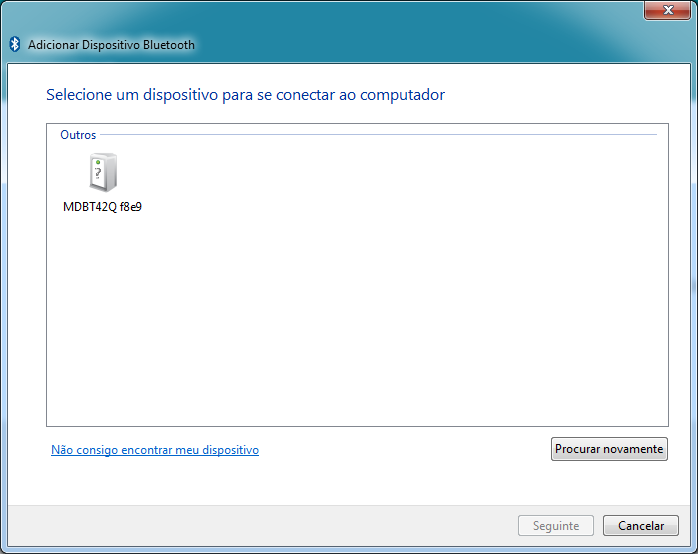 Btw, the Bluetooth Dongle CSR 4.0 can identify the ESPRUINO that uses bluetooth 4.2 ? I will test the PINOUT late. First i tryng to use CSR8510 to talk with the NRF52832 UBLOX NINA. I already can see the device! Wich is the next step ? If i press continue, it will try to pair and gives error! What am i doing wrong ? Why is tryng to pair ? Thank you so much! It´s working! !!! About NRF52832_MDK.py, can you help me to config to NINA BLE 112 ? I had config to work with ARDUINO, but i would like to config to NINA. The best thing I can suggest is to look at the other .py files in the directory, but also check out https://github.com/espruino/Espruino/blo­b/master/README_BuildProcess.md#board-de­finition-file-- as it describes the file and all parts of it. I guess that i changed in the correct place! Can you help me! Please! Is this the correct parameters ? i think that is something wrong with compiler, because the hex created with original NRF52832.py or NRF52832_MDK.py not runs on NRF52822 (NINA), the PC detects them, but not connects. can you compile with the that .py attached and send me hex to me find out the problem ? no problem. I still want to recomend your ESPRUINO. Why NINA can not be your official module too in the future ? I am support in South America and i see your software one of better solution that i have seen. Many clients asked about tools programming! 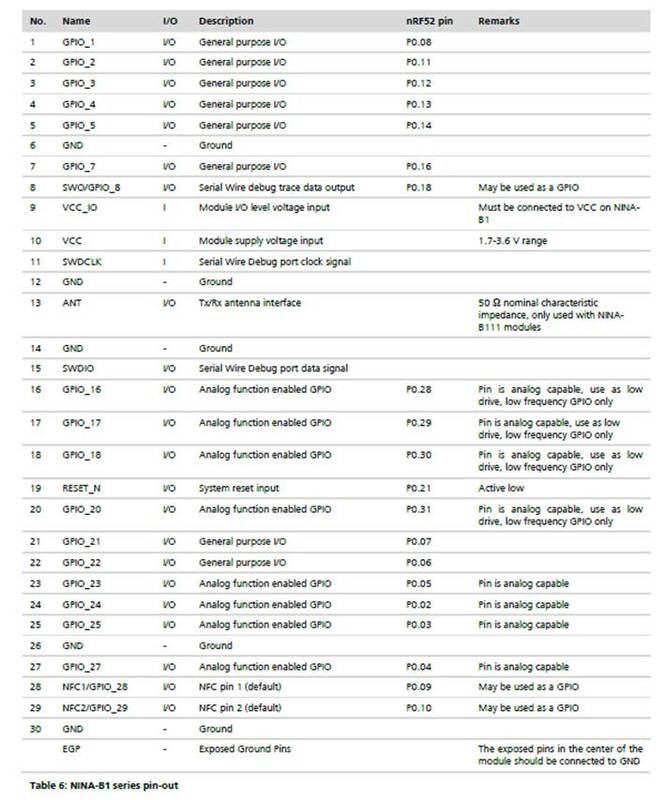 What does the NINA BL112 module do that the MDBT42Q doesn't? I actually sell MDBT42Q modules pre-programmed with Espruino for less money than you can buy a bare NINA BL112 for (at least in the UK), and it helps support Espruino development. Do you mean that make money to invest on ESPRUINO, when resell the modules, right ? And how much in UK the NINA BL112 ? Can i recomend to the SOUTH AMERICA NINA BL112 clients ? We could offer a standard hex version, and if the client wants full support, pay you for a support licence for you? What do you think about ? Or, can you give some other suggestion for you get money! It's hard to find sellers in the UK, but these guys come up in a Google search and are £16.60 (vs £12 for the MDBT42, fully programmed - far less in quantity). How much does the NINA BL112 cost you then? I find it hard to believe that the MDBT42 isn't substantially cheaper as UBlox are usually quite expensive. You can definitely tell your clients about Espruino on the BL112, and yes - I can offer paid support for them. However I honestly think it'd be in everyone's best interests to stick with MDBT42 if at all possible. Wich is your particular e-mail ? I can tell you that this representative will have a competitive price, but he can´t sell only in South America, contractual rules. The NINA BL112 is newer and i hope that will send a lot of units if we offer a software plataform as ESPRUINO easy to use, with basic libraries. My question about paid support, is it possible you developt a client software that connects to an ESPRUINO SERVER and allows to burn the BL112 and how many times was BURN ? For example, the client buy a licence, and type this licence in a software that allow this software burn a N quantities of BL112 ? And this licences prices depends on wich libraries he wants ? I've just sent an email... it's quite hard to do this kind of per-device licence as someone could just build their own firmwares. I'm sure we could work something out though.